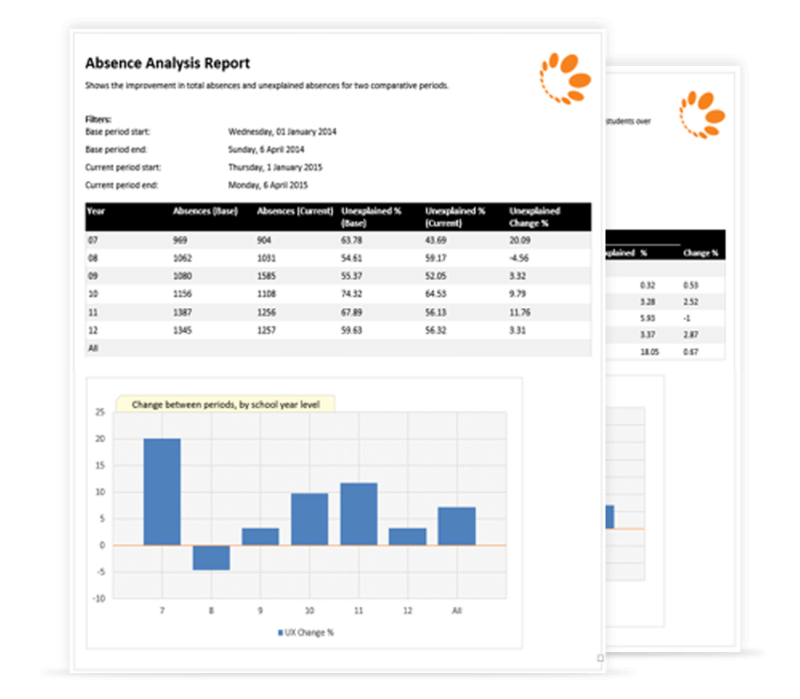 Analyse, measure and take your student attendance to the next level. Analyse, measure and refine. Take your Student Attendance to the next level. WatchLists is a powerful, automated attendance analytics and management tool, and is the most valuable part of your attendance management process. It analyses your parent reply communication generate by messageyou with your student attendance data to identify and give you an in-depth understanding of the root causes of student attendance issues. Messageyou is the starting point for best practise attendance management by performing the critical parent communication process. But it’s WatchLists that does the heavy lifting for you. By automatically identifying students most at risk, emerging absence patterns, trends and then automatically alerting the right school staff by SMS, email or no cost in-App School Star messaging for immediate intervention, WatchLists takes your attendance management to a whole new level. By performing extensive analysis automatically for you, WatchLists provides a range of alerts and tailored reports which enables school leaders to dig deeper and see why students are absent so that they can take action at the root of the problem. 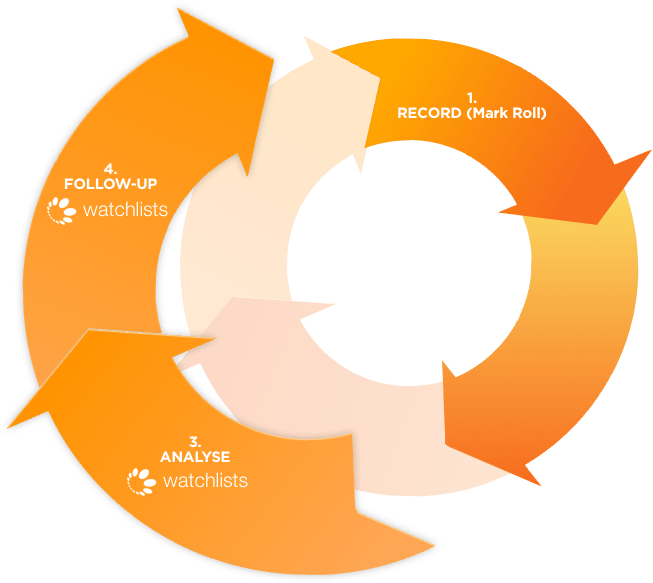 Using sophisticated predictive trend analysis and forecasting algorithms, WatchLists performs real-time analysis of the content of every Parent absence messages, historical and live student absence and behaviour data and personal family circumstances (e.g. separation, illness, bullying, death and much more), to automatically identify and even predict which student are at risk and require immediate support by your School Leadership or external welfare and support agencies. WatchLists tells you where your attendance hot-spots are. It will even predict which students are likely to be absent and at risk. WatchLists helps your school resolves the remaining 20 to 30% unexplained absences left over from the messageyou process of sending automated absence SMS alerts. By automatically identifying all students where no (or unacceptable) explanations have been provided, WatchLists alerts school leaders with all the background data and relevant information they need, such as parents names, phone numbers, number of absences for immediate direct intervention and case management. Research shows that rapid intervention by school leaders is key to prevent disengagement by students at risk. Not only does WatchLists automatically produce these alerts and reports for you, but it will also deliver the analysis to all the relevant school staff and leaders. WatchLists will even suggest the best case management strategies for school leaders to use. Based on analysis and supporting data, WatchLists will suggest a range of strategies best to support individual cases and student at risk of disengagement. Take your student attendance to the next level! For individual case or risk management, nominate specific students by name to enable School Leaders to monitor by automatically receive a specialised Student of Interest alert or report by email, in-App School Star message or SMS with all their attendance and parent communication. Sometimes student absence behaviour is related to family behaviour. WatchLists intelligently links and groups absences and communication by family units, giving school leaders the information needed to provide tailored support on a family unit basis. Compare your attendance and related communication history over any 2 time periods. Get the data you need to improve and refine your strategies. See your improvement in total absences, unexplained absences and the reasons why. Essential for effectively supporting School Leadership. See and analyse cohort attendance behaviour by any date range. Compare current behaviour against historical, or against your school, or any subset. See how their attendance changes term by term – or any other period. 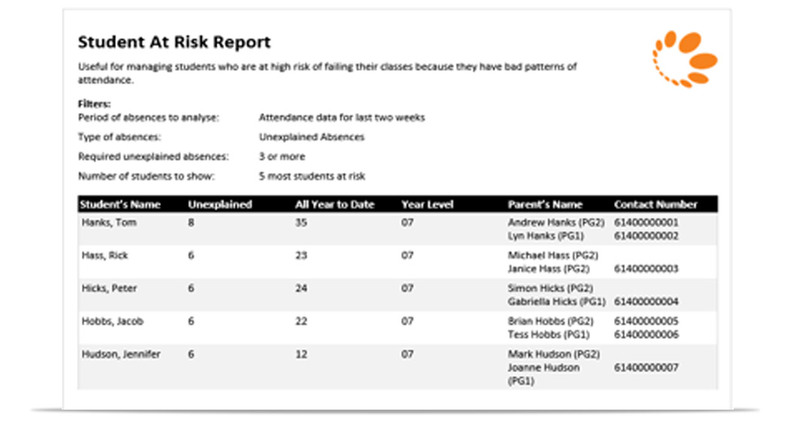 WatchLists is a powerful tool when it comes to reviewing the overall absence rates for the entire school, year levels or classes. It helps school leaders measure the effectiveness of their school-wide attendance management programs. WatchLists automatically finds un-contactable and unresponsive parents to help school staff reconnect to re-establish parent/school communication and engage parents to their child’s learning and wellbeing. Provides a detailed overview of call the communication between school and parents over a specified time period. This helps to identify emerging behaviour trends, or other issues with your parent and school community. Providing in-depth analysis of parent/caregiver behaviour and how this affects student wellbeing, this alert groups student details for all communication by a caregiver and their partner. Invaluable for identifying family behaviour trends or possible issues. In some instances, the patterns of absence could be part of a bigger problem in which case WatchLists can alert external parties like case workers, welfare or support officers so that they can investigate further. Is it one or more classes that’s letting your school down? Often, it’s just one or two classes that really drag your school attendance rates down. WatchLists will automatically identify these situations, identify the students responsible and even show you all the absence messages and reasons provided by their parents/caregivers to provide insight as to what’s really going on. Compares number of students absences for every decile range for any two time periods. See the percentage change for each range. See how, why and where your school absence is improving. MGM Wireless team of highly experienced student attendance management experts and coaches that can help you implement WatchLists, and also provide ongoing mentoring, training and support to help your school achieve its student attendance goals.